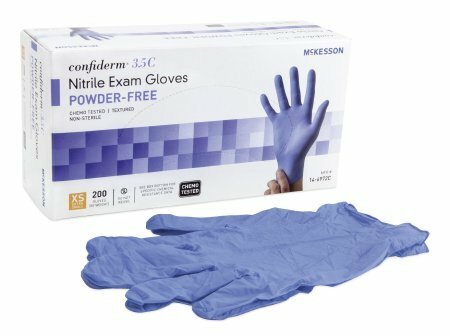 Confiderm nitrile exam gloves provide superior non-latex protection at an affordable price. Ideal in the hospital and clinical setting, these gloves are also perfect for cleaning, pet, home craft, and automotive uses. Strong yet thin: you can actually feel what you touch with great dexterity. If you have any questions about this product by McKesson, contact us by completing and submitting the form below. If you are looking for a specif part number, please include it with your message.